MiLB.com staff recently put out a list of one "under the radar" prospect for each team. For the Red Sox, they selected second baseman Brett Netzer. That certainly qualifies as under the radar, with Netzer ranking as the 33rd best prospect on the SoxProspects.com rankings and hitting an underwhelming .270/.325/.360 line for Salem last season over 481 at-bats. MiLB.com notes his high strikeout rate and his SoxProspects.com profile notes his lack of power and lack of defensive versatility. Despite those limitations, both list he has the potential to fill a utility role on a major league roster. Several World Series champions will see time in the minor leagues to start the season. The Boston Globe's Alex Speier notes that second baseman Dustin Pedroia will join Greenville on a rehab assignment as he works his way back from left knee surgery. Catcher Sandy Leon has also accepted an assignment to Pawtucket according to the team. 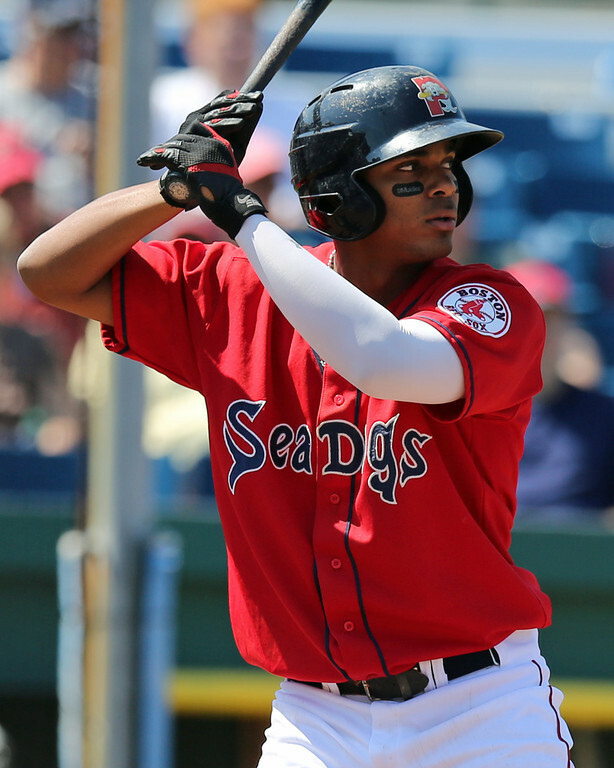 Former top prospect shortstop Xander Bogaerts (pictured, left, circa August 2012) has signed a big extension to remain with the Red Sox as WEEI's Evan Drellich first reported. It is expected to be a six-year extension at $120 million that begins after this season and includes an opt-out in 2022 and a $20 million option for 2026. Speier has more details here. Bogearts was signed out of Aruba as an international free agent in August 2009. Bogaerts hit at almost every level, finishing his five years in the minors with a .297/.373/.493 line. 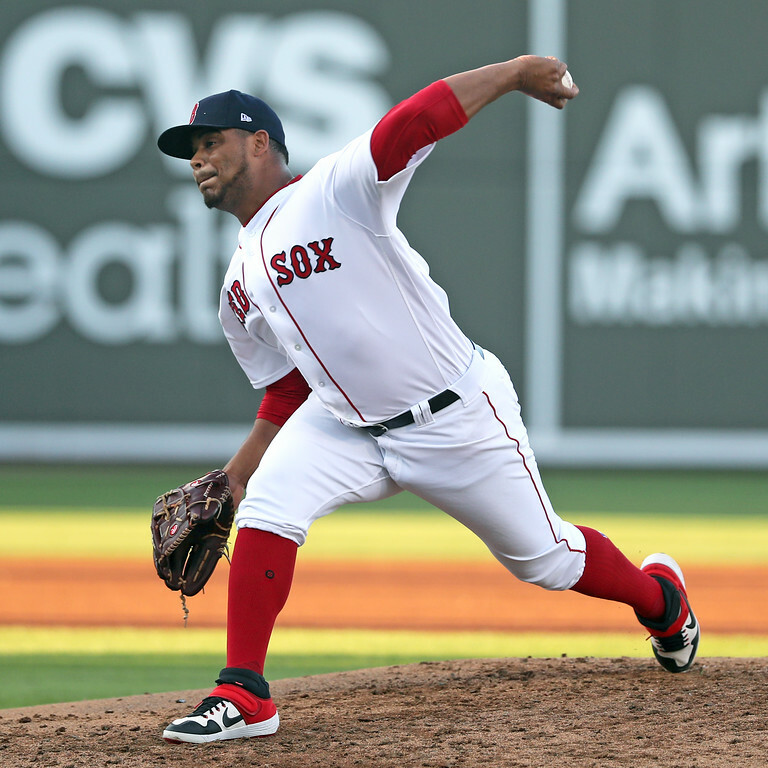 He debuted on the SoxProspects.com top 20 rankings in June of 2011 and rose to the top spot by September of 2012 where he remained until his eligibility expired in early 2014 after making his debut in August of 2013. Bogaerts was not only the Red Sox top prospect but was the second-ranked prospect in baseball by Baseball Prospectus, MLB.com, and Baseball America, entering the 2014 season, behind only Twins outfielder Byron Buxton. The 26-year-old has hit .283/.342/.429 over his seven major league season and is coming off the best season of his career after hitting .297/.373/.493 in 2018. Minor League Baseball announced some pace of play rules recently for Double-A and Triple-A. Many of the changes are tests for rules that may be implemented in the major leagues in the future. They include: pitchers must face a minimum of three batters, mound visits have been reduced, and extra innings will begin with a runner on second base. Read more details directly from MiLB. Photo Credit: Darwinzon Hernandez & Xander Bogaerts by Kelly O'Connor.